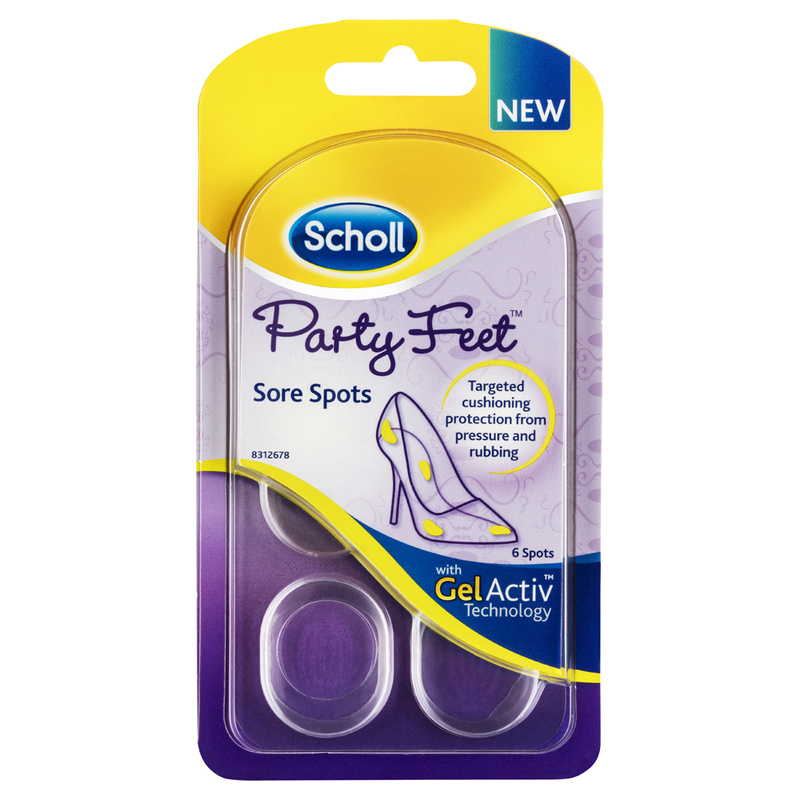 Scholl Party Feet Invisible Gel Sore Spots are gel cushions that help cushion and protect sensitive areas from shoes rubbing. The clear gel cushions are slim and discreet, and they stay firmly in place for long-lasting comfort and protection. Suitable for any shoes that rub or cause sore areas. I have a pair of these in every shoe I owe because I am the first on my friends to take my shoes off on a night out! And I will do anything to keep them on longer. I still click them on the walk home but stay classy in on the dancefloor for most the night! Woolworths, Coles, IGA, Chemist Warehouse, Priceline and other leading grocery and pharmacy stores.